When your skin just isn’t feeling right and you could swear you’ve tried everything- what is there left to do? It’s probably safe to say that at some point in your skincare journey you’ve come upon a point where you feel like everything you’re doing for your skin is failing. Whether you have acne or dry skin or redness that just won’t go away, it can be really frustrating to feel like you’re at the end of your rope. And when you get to that place, what do you do? Where do you go? What body of information do you turn to? To start, if you feel like all your skincare efforts are failing, it’s a good time to step back and take an honest inventory of all the things you’ve been doing. Then compare that to how your skin is responding. 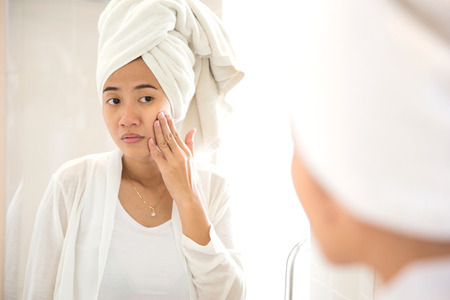 For example, if you are washing your face twice a day and your skin is broken out and red, you might need to take a step back, only wash once a day and even switch to oil cleansing in order to help your skin’s natural protective barrier come back and the signs of irritation to go away. Another example could be for those who have really dry skin and find themselves moisturizing multiple times a day with little to no relief. In that case, switching to a more nourishing and protective moisturizer like raw African Shea butter and gently exfoliating with enzymes once or twice a week could be all that’s needed to fix what isn’t right. Another approach could be to go see a professional and check for any underlying issues like food allergies or hormonal imbalances that might be the source of your hard to fix skin complaints. Even though using high quality private label skincare is integral to maintaining the overall wellbeing of your skin, it’s not the only influencing factor and you might find that the foods you eat (and don’t eat) have an equally noticeable effect on it. Additionally, the ingredients in your private label skincare are also extremely important to vet out. If your skin is having a hard time, take a look at the back of the label and see what other stuff is in there. If you don’t recognize the ingredients, you might want to consider switching to something with less additives and more actives.